Here at Gem Lounge Jewelry, our jewelry is designed to be eco-conscious, vegan, trendy, durable, and beautiful. Gem Lounge focuses on using cruelty free, eco-friendly materials and packaging, most notibly our cork bracelets. Featured in numerous publications across the country and we boost an excellent wholesale reorder percentage rate. Every order placed at the show will be entered to win a bracelet display box for free. Winner will be chosen at the end of the show and emailed as well as announced in our wholesale newsletter. 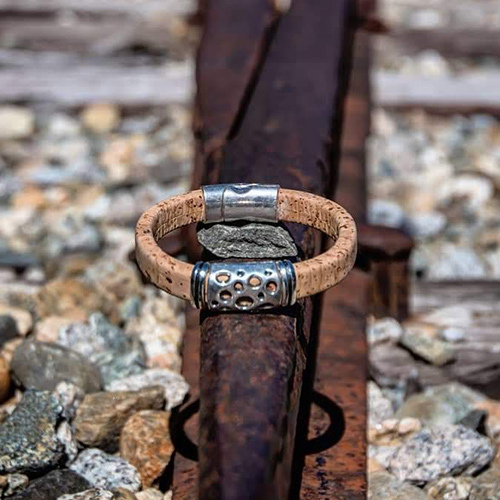 Take advantage of our show special that features 15 of our best selling cork bracelets, display, marketing materials, and priority shipping with insurance for $375. Being green is an important part of our business model here at Gem Lounge Jewelry. 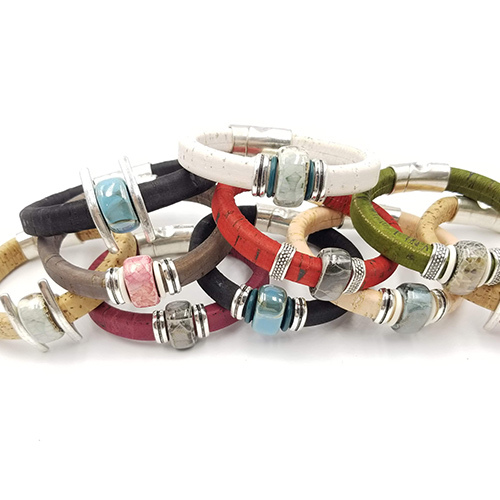 Not only do these cork bracelets look beautiful but they are also a great vegan leather bracelet alternative. The cork is harvested from cork oak trees mostly in the Mediterranean and Portugal every 9-12 years and do not do any damage to the tree itself. These cork oak trees also live to be up to 200 years old. 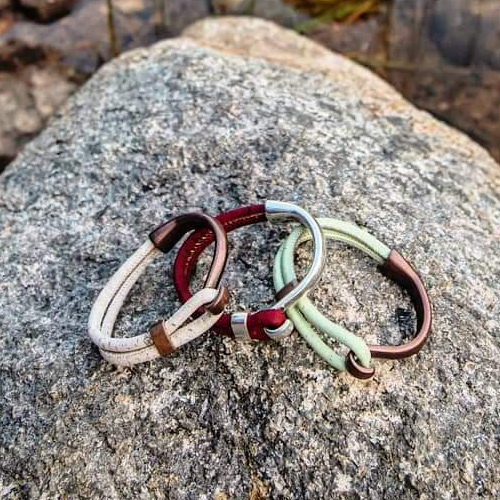 What's created is sustainable, biodegradable, waterproof, and green product which you can feel good about wearing! 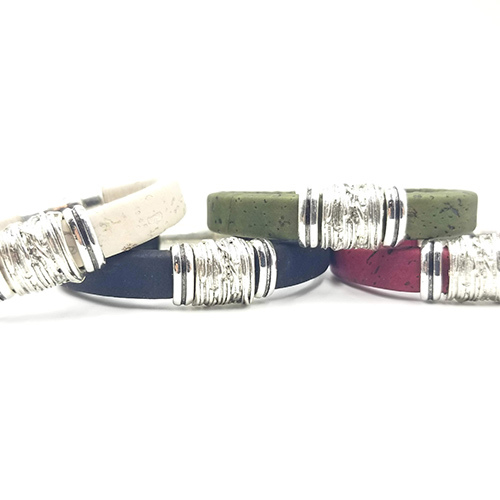 Our cork bracelets come in a variety of styles and colors. 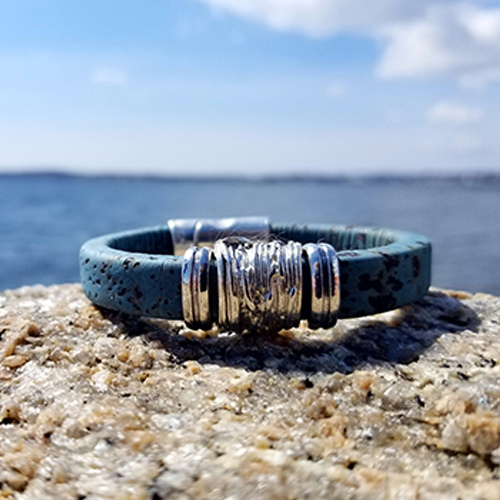 This bracelet has been featured in numerous publications including Down East Magazine and Portland Press Herald during 2018. 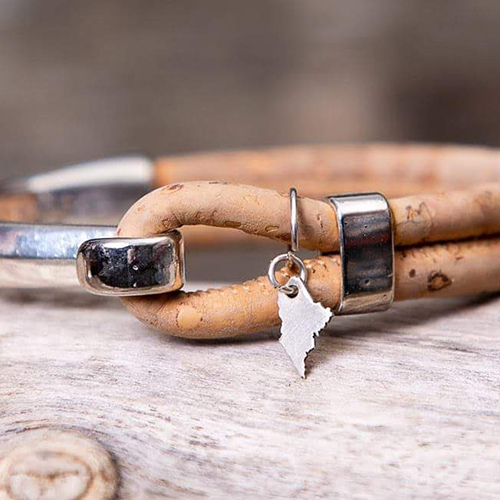 Our cork bracelets were also awarded second place for best new product at the New England Made Shows this year as well.